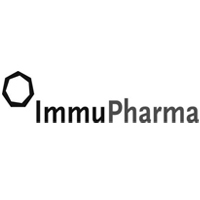 ImmuPharma PLC (LON:IMM) Chairman Tim McCarthy talks to DirectorsTalk about the further analysis of the results from its pivotal Phase III trial of Lupuzor and final results. Tim talks us through the key take away highlights from the statement, explains the positive data that has emerged from further analysis, why predictive biomarkers important, updates us on the currently ongoing extension trial and tells us what the next steps are for the company. ImmuPharma Plc is a pharmaceutical development company listed since 2006 on AIM of the London Stock Exchange, focusing on developing novel medicines with high sales potential in specialist markets with serious unmet need. The company is led by a commercially focused Board and management team with extensive experience. There are an estimated five million people globally suffering from Lupus, with approximately 1.5 million patients in the US, Europe and Japan (Source: Lupus Foundation of America). Current ‘standard of care’ treatments, including steroids and immunosuppressants, can potentially have either serious side effects for patients or limited effectiveness, with over 60% of patients not adequately treated. If Lupuzor™ is approved, it will be entering a market with the potential for multi-billion dollar sales. Receive our exclusive interviews – Enter your email to stay up to date. Disclaimer: Statements in this article should not be considered investment advice, which is best sought directly from a qualified professional. Click IMM for the full archive. Mark Greenwood: Is SM&CR the dawn of a new era? You understand and agree that no content published on the Site constitutes a recommendation that any particular security, portfolio of securities, transaction, or investment strategy is suitable or advisable for any specific person. You further understand that none of the information providers or their affiliates will advise you personally concerning the nature, potential, advisability, value or suitability of any particular stock, share, security, portfolio of securities, transaction, investment strategy, or other matter. We openly disclose that we and our contributors may have interests in investments and/or providers of services referred to within the website and that we receive remuneration from certain of the companies referred to on this website. More Info. © 2019 - DirectorsTalk. All rights reserved. Reproduction in whole or in part, in any form or medium without express written permission is prohibited.